You are at:Home»Internet»Leased lines – the killer advantage for business? Leased lines – the killer advantage for business? It’s a popular opinion that e-commerce has revolutionised the way our businesses operate today in comparison to just a few years ago. However, one side effect of this revolution is that everyone from the largest multi-national to the smallest start-up is looking for something to give them an edge over their competition. With connectivity being the watchword across the spectrum, could leased lines be the answer that has been staring us in the face all along? A reliable network connection is essential for anyone who uses the internet. As consumers we all know the frustrations of having a drop-out, whether that’s from travelling through a mobile dead spot on the go or having a broadband outage at home or in the office. For a business it is critical that continued service for both customers and employees is available at all times as even the slightest interruption can mean a loss in sales. Recent data from the Office of National Statistics revealed that just over half of all adults in the UK accessed the internet on their phones and three-quarters of the UK’s adults access the web daily across all platforms. “The internet has changed the way people go about their daily lives,” the ONS said, although the same figures showed that four million homes in the UK are still not connected to the internet at all. Although the quality of connections varies around the country, the uptake of hi-speed broadband has meant that more homes have connections capable of downloading information far more quickly than in the past. The introduction of 4G networks means mobile reception is no longer a barrier to using the internet for even the most complex and data intensive tasks. A leased line is a high-speed communications link that is dedicated to one business customer and can be flexibly configured. Usually based around fibre optic cable that work to physically link two sites together and is separated from general public telecommunications networks – a leased line offers security and exclusivity, meaning that the problem of bottlenecks on shared lines at times of high activity can be eliminated. 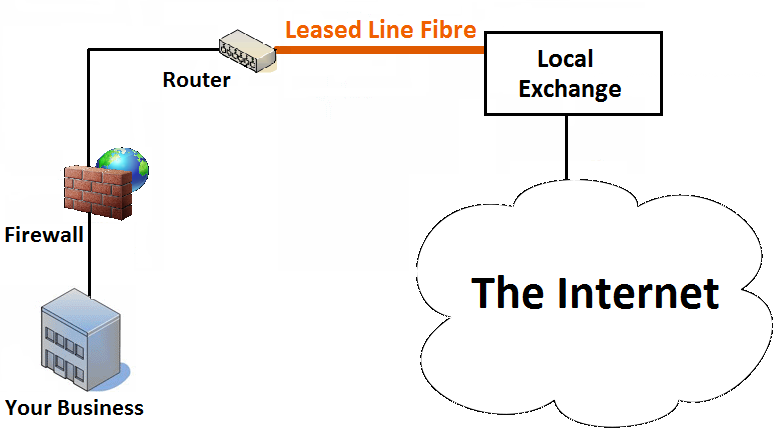 As well as being a ‘business-class’ internet service offering higher speeds and less congestion than consumer-grade internet access technologies can provide, leased lines allow greater privacy for both voice and data connections – making the leased line the ultimate advantage any business could have over its competition.